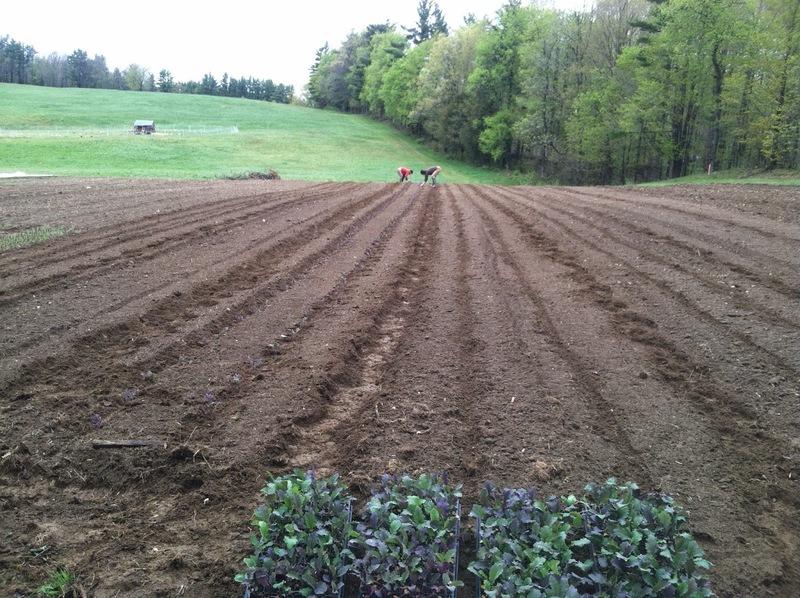 Stout Oak Farm is an organic vegetable farm in Brentwood, New Hampshire, located on the historic farm property previously owned by Lyford/Robinson family. As of 2012, the farm’s sloping fields, woodlands, and wetlands are protected by an agricultural conservation easement. As new stewards of this historic farm, we are committed to taking good care of the land, and providing delicious, healthy food for our community. We grow 5 acres of Certified Organic vegetables for our Farm Store, CSA shares, farmers’ markets, and wholesale accounts. 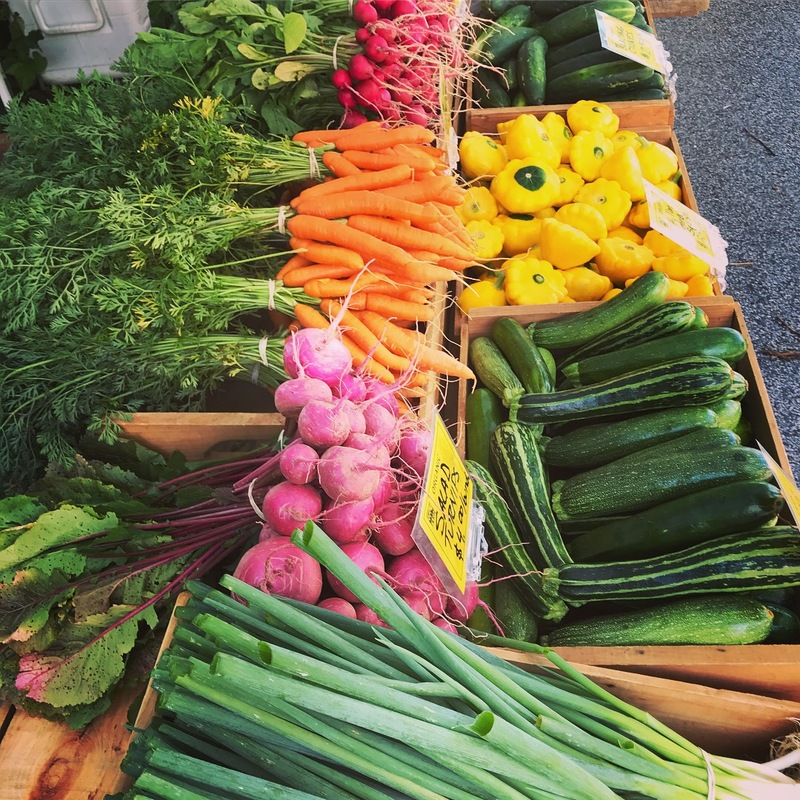 Our vegetables are delivered to local restaurants through Three River Farmers Alliance, a farmer-owned local food distribution business we co-founded with Meadow’s Mirth and Heron Pond Farm in 2014.
organic vegetables and seedlings, as well as many products from other local farms. 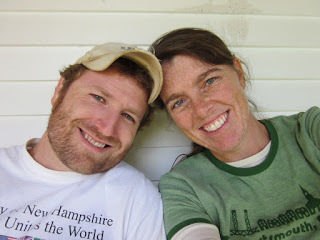 Kate has been an organic vegetable grower for the past 15 years, having worked for and managed Certified Organic vegetable farms in California, Massachusetts, and New Hampshire. We choose to use ecologically sound farming practices, demonstrating our commitment to enhancing soil health, using resources efficiently, creating a safe work environment for ourselves and our crew, and growing safe healthy food. All of our vegetables, herbs, flowers, and seedlings are Certified Organic by the NH Department of Agriculture, Markets, and Food. In a world with too many toxic chemicals, we have made a commitment to manage our land with 100% organic methods. This means we never use herbicides, synthetic fertilizers, or synthetic pesticides on our farm. We build organic matter and fertility in our soil through cover cropping, compost, and organic soil amendments. All of our microgreens and seedlings are grown in organic potting soil from Vermont Compost Company. We choose not to use any plastic mulch, in the interest of avoiding the overuse of plastic on our farm. As of January 2017, our farm is solar-powered! We worked with ReVision Energy to install 40 solar panels on our old dairy barn and we are now producing over 95% of the electricity we use on the property.